"Avatar: A New Era" will be a show set in the same world as "Avatar: The Last Airbender And "Avatar: The Legend of Korra . This story, however, takes place many centuries before either of the two previous shows. It will centrally focus on an Earth-born Avatar and their development and growth. Thought the series the Avatar will gain close friends and teachers. The world of Avatar will finally be explored in depth. The show will air on YouTube weekly, unless proper authorization from the owners of the copyright material is achieved. In the latter case the show' s medium of publication has not been decided as of yet. Lee is the twin brother of Chang and the younger brother of Arwen. He is a decent firebender, but does not seek mastery over the art. He is very patient and calm. This is in stark contrast to his brother. Lee is relatively stocky, and often relies on strength to get him through trials instead of his bending. He is quiet and his words are soft and tender. He speaks very little, yet when he does his words are carefully chosen. I take it you think you're the Avatar now? I'll leave with you brother, you do need someone protecting him. Chang is the twin brother of Lee and the younger brother of Arwen. He is technically the younger of the twins by seven minutes. Chang is a non-bender, and thinks that that is a majorflaw in himself. He is very tall, however, and often brags about his height to others. Chang is rather lanky compared to his brother. His is also extremely hot-headed and gets himself into a lot of trouble because of it. Wow, turns out you ARE the Avatar. Funny, I thought the Avatar was supposed to be at least a little tall. Yun-Zhen is an airbender during the time the temples still flourish and are full of life. He, too, is full of that same life and is very humorous. He likes to think himself the wittiest of the group, but often he is just the most ridiculous. He tends to act very light and buoyant, however, his thoughts always dwell in dark places. He gets drawn into these darker states occasionally through his thoughts, but he never lets anyone take him there. Yaru prefers to have fun with his friends than for them to know of his true nature. He becomes a good ally to Avatar Thaddeus over time, and even tries to teach him airbending. He has a relatively high voice, and occasionally has voice cracks too. He sounds young and excited when he is happy, however, when he is drawn into the dark he talks slower and emptier. Wang Shu is the father of Arwen, Lee, and Chang. His Grandfather was the one who originally founded the circus, and passed it on through the generations. Wang Shu is a very average height man, and is a little bulkier than most. This, however, does not make him any less active or agile. His eyes sparkle themselves with inner fire, and gleam a bright golden hue. He cares about all his children, including Thaddeus, but he cares even deeper about his circus. He has a very hard exterior, and speaks roughly because of it. He does not let himself appear weak very often, as his children look to him for support. He is quick to anger, especially if insulted, or someone repeatedly fails at something. His words, though few, carry some heavy weight. 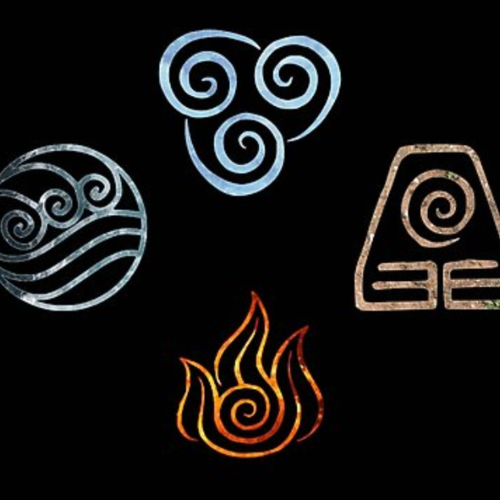 I think if you truly are the Avatar, then you should go. The world needs you more than my circus does. EXCUSE ME, WHAT DID YOU SAY ABOUT MY SON'S PERFORMANCE?!?! I'LL HAVE YOU KNOW HE'S THE AVATAR!! The Character Designer will need to be able to draw references for all of the leading characters. The character designer will also be respomsible for costume design, and will have to create outfits for the characters. The audio engineer will need to select which recordings from the VAs are used. The audio engineer will also need to "stitch" different segments of audio together cohesively. Another requirement is to collaborate with the Misic/Score Composer to decode when certain pieces of music should be used, and at what volume. Finally, the audio engineer will need to retrieve and insert sound effects, where necessary. The Music/Score Composer will need to create epic themes for all occasions. From Chase scenes, to travel montages, to villainous encounters; the Music/Score Composer Will need it all. They will also be responsible for creating themes for individuals, situations, and settings. I'm tired and busy all of the time, so I need a producer. The producer will need to oversee all of the interactions between different team members. The producer will also need to make sure we meet deadlines therefore, the producer will be in charge of writing the work schedule. In addition, the producer will need to collaborate woth all team members, including myself. The producer will also need to come to me to have any questions answered, and to report progress. This person will need to have ample knowledge of all current canon material in the Avatar universe. They will be responsible for making sure dates, events, settings, etc. are the way that they should be in the time period of the show. This person will also need to check every episode produced (In depth) for continuity mistakes. This person will therefore need to collaborate with the writers, story boarders, and animators. They will additionally need to work with the producer, and let them know about any continuity errors that are found. Will need to work with the writer in order to determine the main events of episodes. The story boarder will need to story board each particular episode, obviously. Additionally, when they have completed their story board for an episode, it will be sent to the writer for approval. If approved the story boarder will then need to send the story board along with the plot to the animators. The video editor will need to decide which shots go in which order, in order to best tell the story. The video editor will need to collaborate with the writer, producer, and the animator. The video editor will "stitch" together the audio and video clips. Jun is the wife of Wang Shu, and the mother of; Lee, Chang, and Arwen. She was born a slave, but was freed by Wang Shu after a year of service in the circus. They were the immediately married. Jun is very shy and quiet, and only really talks to her family members. Even so, she spends most of her time helping the children practice routines and preparing the travel schedule. When she does talk she does so very quietly and softly. The exception to this is if it is loud, or she is talking to multiple people. Even the, she speakes rather faintly and her voice often waivers. She is pale and almost sickly thin. She loves her children, but won't stop them from doing harm. Rather, she really just sits idly by, constantly worrying and anxious.